Well, here’s something I haven’t had the chance to see until now. 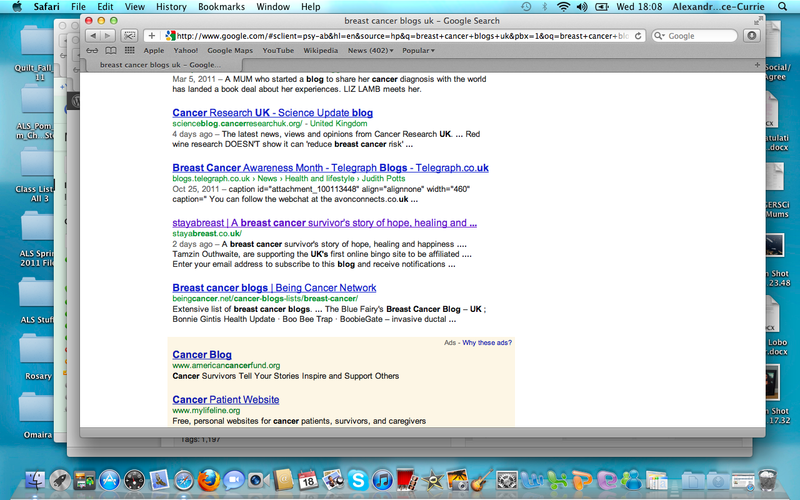 I have the privilege of looking into how people find my blog and one of the terms is ‘Breast Cancer Blogs UK’…think about how vague that connection is. Well, WE ARE ON THE FRONT PAGE OF THAT!!!!!!! See for your self (above). Thank you for sticking with us! Keep on reading and please PASS THE WORD!!!! This entry was posted in ALL POSTS, MUST READS and tagged Breast Cancer Blogs UK, breast cancer therapy, crafting for cancer. Bookmark the permalink. 7 Responses to We’re On The Top Page! Yay. Congratulations! That is huge! 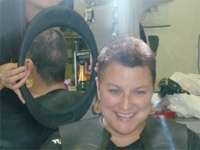 Amazing congrats Alex a really impressive feat – your blog is really enjoyable to read. Hope all is well with you and your family. good going and keep it up…i’m speaking to a breast cancer meeting in dallask on jan. 27 (bridges) and will mention the pink pom project and and it’s upbeat take on life’s mud puddles. delete that “K ” and add another “Pom”!